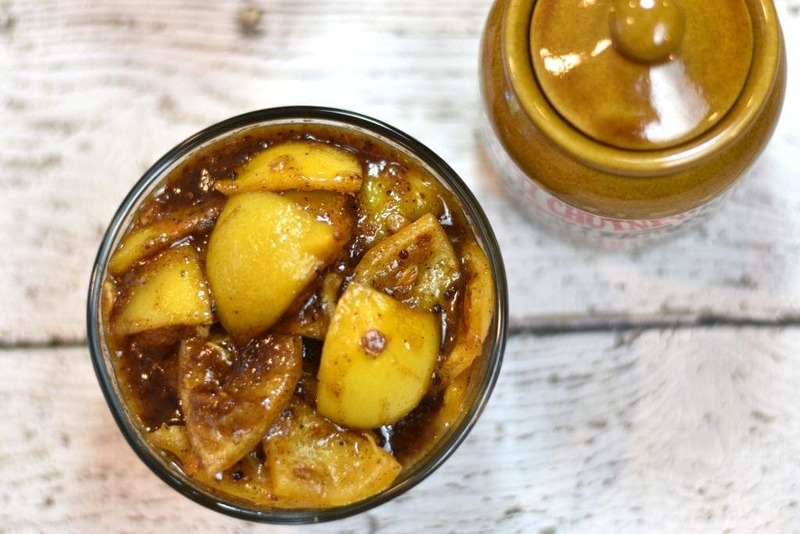 Sweet ‘n’ Spicy Lemon Pickle or lemon preserves are perhaps one of the most popular condiments in Indian cuisine. It’s popularly known as ‘Nimbu ka Achaar’ in the north. 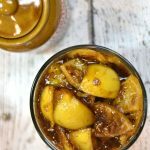 Typically, lemon pickle is made in summer by brining lemons in their own juice, salt and a blend of spices, and sugar in some variations. The pickle is then matured in sunlight and this process takes a few weeks. This is my version, except this one got ready in 30 minutes! There are endless variations of this pickle. 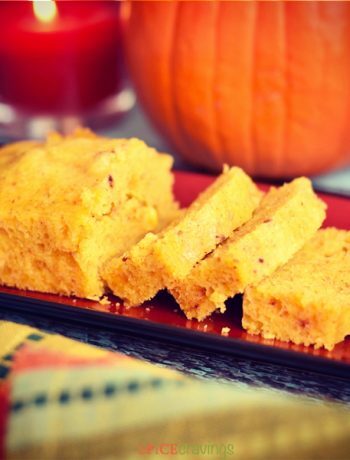 This is my father-in-law’s super-hit family recipe, that he inherited from his grandmother! 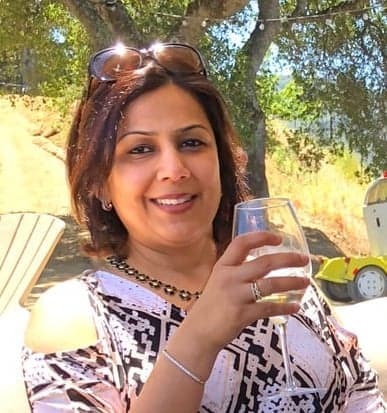 It goes great with lentils, curries, biryani, rice pilaf, stuffed flatbreads, naan. Recently, I served it on my cheese platter, along with crackers and creamy brie and it was such a big hit. So many of my friends asked me for this recipe. It is now a staple on my cheese board! This pickle tastes even more delicious as it ages. I make it and refrigerate it for a couple of weeks before taking it out. It stays good in the refrigerator for a few months at least! , but it can be made in a stove-top pressure cooker too by following the same directions. If you have Panch Poran spice blend, you can use 1 tablespoon of that instead of the three individual roasting spices. If you like your pickle more spicy and/or sweet, you can always add more during the sauté process. Recently, I picked up a bag of gorgeous Meyer Lemons from Trader Joe’s. I decided to try this recipe using those instead. But, I made one change though. Since I was out of Panch phoran, so I used a combination of mustard seeds, fennel seeds and fenugreek seeds instead. Since the peel was thinner and there was more juice and fibers in the lemon, the pickle is more like a chunky preserve, as you can see from the picture. 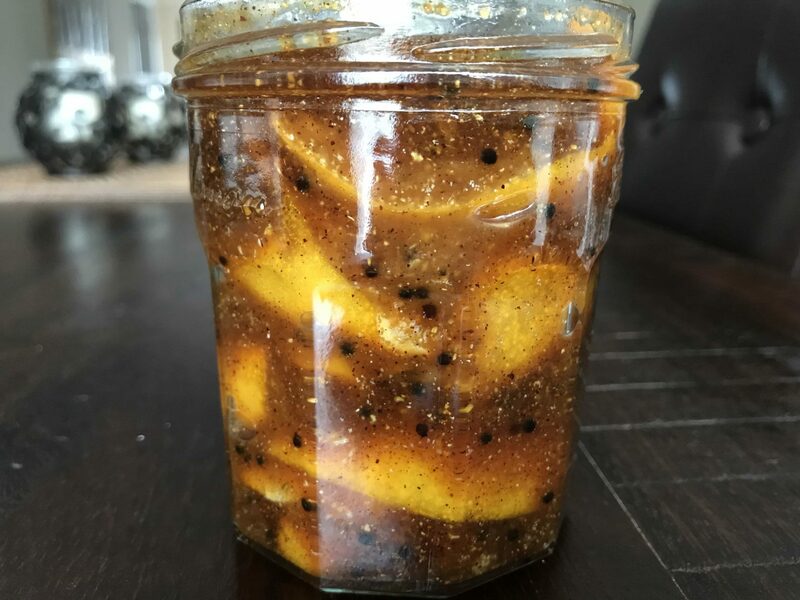 This pickle with Meyer Lemons was a bigger hit in my house. My kids just loved it. They smeared it all over their Parantha (stuffed flat-bread) and enjoyed it! Definitely a keeper for us! 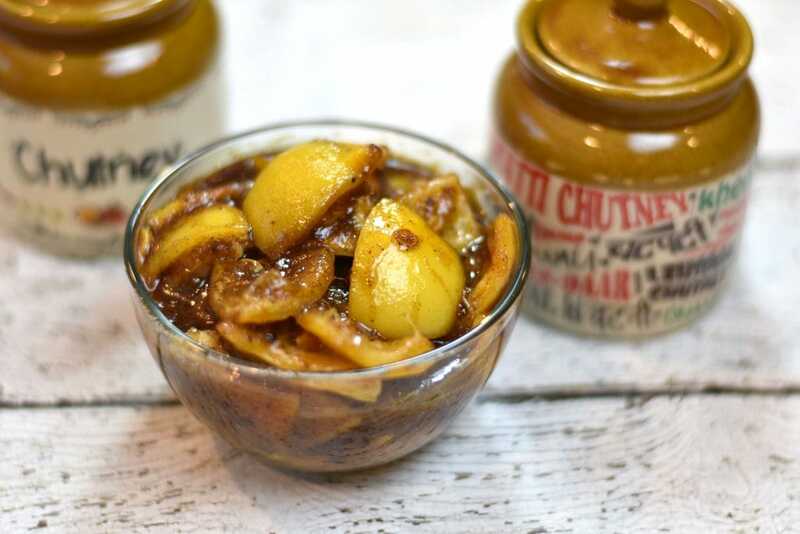 Sweet 'n' Spicy Lemon Pickle or lemon preserves are perhaps one of the most popular condiments in Indian cuisine. It's popularly known as 'Nimbu ka Achaar' in the north. 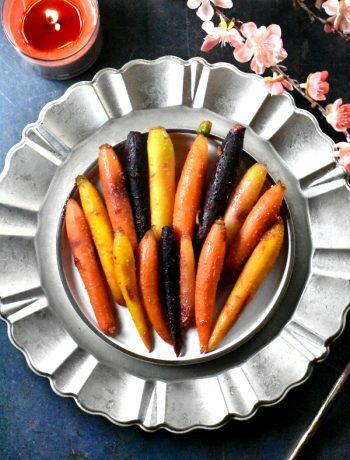 I simplified the recipe to bring it down to a 30-minute recipe that you can make easily at home and customize to your liking. Wash and dry 6 lemons. Turn on the Instant Pot. Pour 1 cup water in the inner pot and place a trivet. Place lemons in a bowl and place on top of the trivet. Close the lid. Set the vent to Sealing position. Hit Manual (High Pressure) for 15 minutes. In the meantime, roast the spice blend for grinding. Place spices listed under the "Roasting spices list" on a microwave safe plate and heat in microwave for 3 minutes in 30 second increments, stirring in between. Cool for 5 minutes and grind to a fine powder in a spice blender. Wait for natural pressure release from the Instant Pot. Open lid and remove the lemons. Cut in halves and remove seeds. Turn on the Instant Pot on sauté mode and let it heat up, about 30 seconds. Add oil and mustard seeds. When mustard seeds begin to splutter, add lemons, salt, sugar and all spices. Stir well. Continue to sauté for 4-5 minutes till the liquid reaches a jam like consistency. Turn off the Instant Pot. For best results, let the pickle rest in the refrigerator for 4-5 days before eating. Just tried to make some and it didn’t turn out well. The 15mins on high seem too long, so I did 10 mins and even then my meyer lemons are more mushier than I like. Somehow the sauce is also bitter. Tried to improvise my adding more brown sugar. Next time probably I will skip the instapot and just stir fry sliced lemons in the spices, sauce etc. Hi Bobby, Sorry to hear that it didn’t turn out well for you. I make this pickle on a regular basis and the only time I had a slight bitterness to the sauce, was when I left the seeds in before sautéing – was that the case with you by any chance? Another reason for bitterness could be that the peel wasn’t cooked enough. Most citrus will turn to mush if you pressure cook it, but that is what gives this pickle a jam-like consistency. Would love to hear how your experience is with the stir-fry method. Turned out my lemons were off or something. Took some juice from left over lemon and it had bitter taste. After 3-4 days in the fridge, the skin that I had thought was too mushy seems perfect. Wife is loving it.i am going to try again with fresh batch of Meyer lemons.